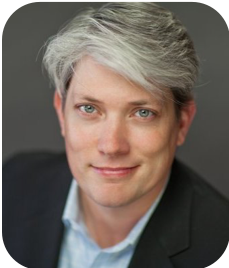 Ryan is a strategist, marketer, and storyteller, offering over 17 years’ leadership experience. From 2000 to 2011, Ryan held senior leadership positions at HNW, Inc., a New York City-based, marketing agency that served businesses that targeted high-net-worth individuals and families. Ryan managed engagements with Citigroup Private Bank, Merrill Lynch Private Client Group, Wachovia, Fidelity Charitable Gift Fund, California Community Foundation, Sentient Jet Membership and many others. From 2011 to 2016, he was the Global Senior Director of Product Portfolio at Otter Products in Fort Collins, CO, overseeing the OtterBox and LifeProof brands. Ryan forged strategic partnerships with Samsung, Microsoft, Google/Motorola, LG, HTC, Lenovo, Sony and others, which were instrumental to the growth of the OtterBox and LifeProof businesses. During his tenure, Ryan helped Otter Products grow revenue from $350M to over $1B globally. He is currently the CEO & Co-Founder of Rylentless, a strategic consulting firm that helps clients embrace the power of story to create stronger relationships with customers and employees alike. Ryan has an MFA from the University of Alabama and an MBA from the Daniels College of Business at the University of Denver.